Getting a call for an interview is a happy feeling. The recipient only knows how it feels to be called for discussing the possibilities of employment. After all, the efforts put into drafting a killer resume and an effective cover letter are about to come to fruition. However, being called for an interview is not a guarantee that you will be offered the job. There are still a few hurdles to be crossed in order to get the offer letter. It will also depend on how you fair in the interview and whether the employer is impressed enough to have you in the team. If you are serious about the job position, you have to prepare thoroughly like you did in crafting the job application. At this moment, there is no space even for a minor mistake, since it can cost you the job. There are many who have fumbled when bombarded with questions by the recruiters. This has happened even to the most experienced, qualified, and skilled people. If you don’t want to miss the opportunity of being hired for the company you have dreamed of working with for so long, then do these things before going for an interview. No matter what job position you have are going to be interviewed for, one common question the interviewer will throw at you is “what do you know about our company?” There is a better reason why this question appears in every interview. The recruiters want to know how well prepared you are. Are you familiar with the work culture or not? Do you relate to the visions and goals of the company or not? Do you know the type of business the company is in? When you are clueless about these things, the hiring managers will certainly suspect your interest in working with the company. It will also expose your unprofessional attitude. 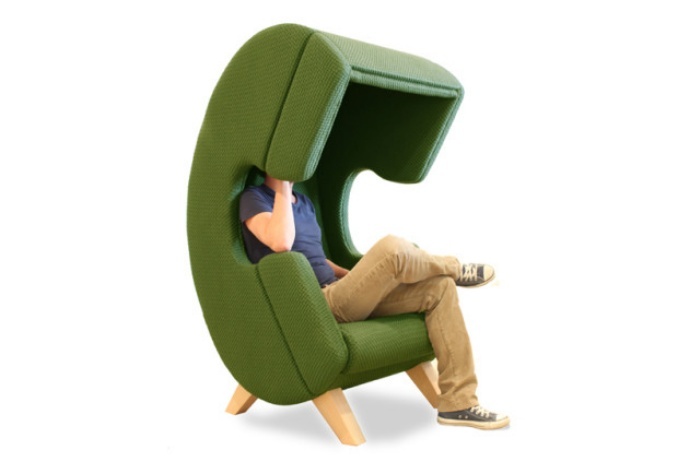 Further, it will not only put you in an awkward position, but also embarrass you. Not being prepared will surely work as a deal breaker and there will be no time for you to repent. Therefore, to ensure you don’t make a mockery of yourself and while away the golden opportunity you have been waiting so long, be prepared as if you are appearing for a final examination. Collect all information right from the name of the company, to the business, vision, goals, number of branches, and sister concerns. 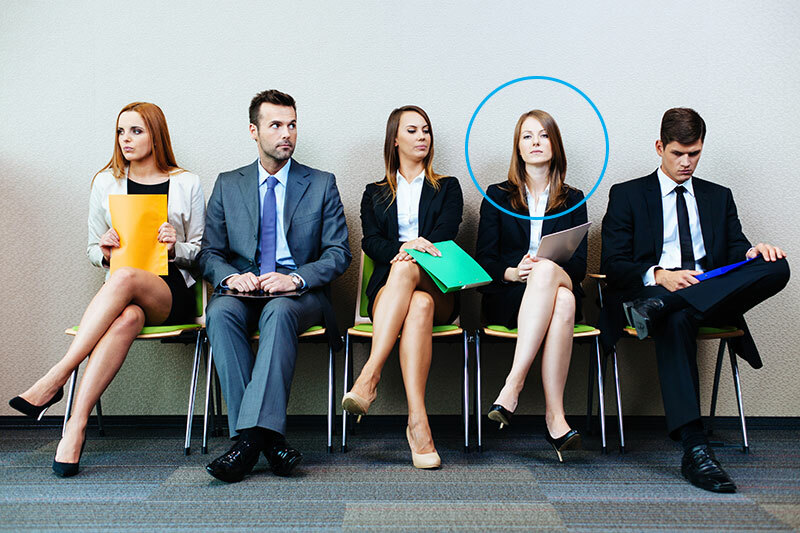 Believe it, there are a few candidates who have appeared for an interview without even knowing the correct name of the company. While we are confident that you will not commit the same mistake, a prior admonition will help you in avoiding appearing silly. Try also to know the name of the person/people who are going to interview you. When you address them by their names (of course using professional greetings), they will be impressed with you. Call it a haste or oversight, we all tend to miss the important message when going through the job description. Nowadays, companies make it clear most of the things the job position entails and the type of skills and abilities they want. This helps them to save their time as well as of the candidates. The main intention of companies in providing the job description is to have a suitable candidate for the vacant position. They want only those candidates to apply who consider themselves fit for the job. Hence, before going for an interview, read the job description carefully like you did when applying. It is the best homework you will be doing in order to get through the interview. Since recruiters take time for scanning resumes and calling suitable candidates, there is a chance that you might forget the duties and responsibilities of the position. Reading once again will help you to recollect the requirements of the company. Try to collect some examples from your previous employment that you can speak at length in the interview and prove yourself fit for the job. Remember, there will be some interview questions that will be not be related to your skills and experience. You may be skilled and experienced in satisfying every query of the interviewer though, but they will also need to taste your overall attitude, maturity, and professionalism. The key to impress the recruiters is to hold the abilities in answering a few of the common questions that will come to you either at the beginning or during the interview. 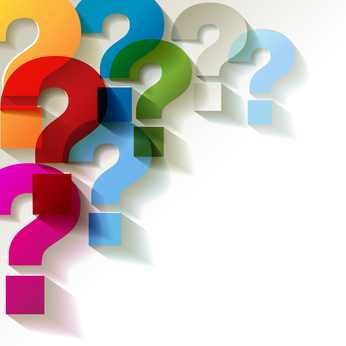 Try to get answers to the most basic questions such as: Why do you want to join our company? What made you apply for the job? What are your good qualities and bad qualities? Why do you choose this profession? Why should we hire you? Where do you want to see yourself five years henceforth? What do you aspire for in your career? Whom do you idolize and why? Why do you want to leave your present job? Monopoly in business is a rarity these days. There are bound to be several companies doing the same business and trying to grab shares of competitors. Though the market is huge and with high potential for growth, companies that can handle the heat of competition can only survive. Consider the market like a jungle where all the predators are waiting for the right opportunity to pounce on their prey and satisfy their hunger. Being a professional, you have to be aware of whom you are competing with. The competition in the market is different than that you will face in the office. For this, you must have a solid understanding of the market conditions, the marketing strategies and recent news of the rival companies. When you are familiar about the moves of your rivals, you can surely win the battle. Being cognizant about whom you will be fighting with for a business share will also show the hiring managers that you are serious about the job. The day you receive the interview call, rush to the tailor or a shopping center to have a new outfit for the ‘D’ day. 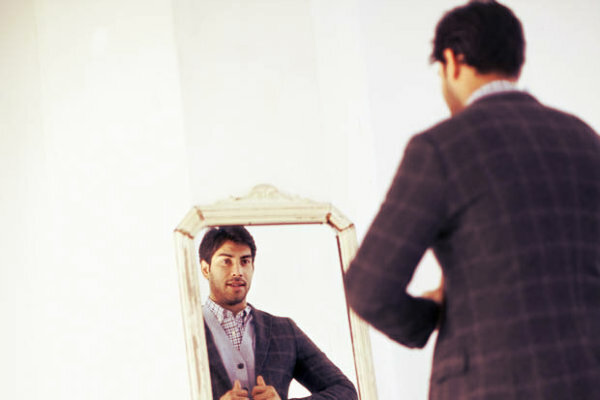 Since dressing properly is vital when appearing for the interview, you need to have a proper outfit that is neither tight nor hanging loose on your body. In case a new outfit is not within your reach at the moment, check and select the best dress you have in the closet. 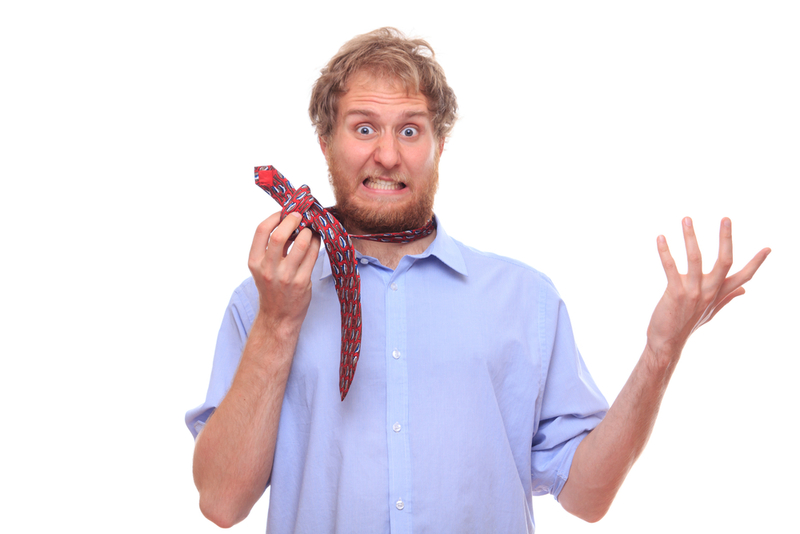 Try the dress a day before the interview to fix anything that needs to be amended. Check the shirt if it has all the buttons intact and there are no loose threads jutting out. Also, check if there is any old stain or mark on the shirt due to spilling of tea, sauce or any other liquid. Also, check your shoes and see if they are in mint condition to be used on the interview day. Don’t forget to have a look at the pairs of sock. A smelly and run-out socks will dampen your confidence. Knowing the location where you will be interviewed a day in advance will help in measuring the distance you need to travel and the traffic as well. As most companies prefer hotels to interview candidates, it is likely that you will not be called at the company for the interview. Even though you have been to the hotel, or know the address of the company, try to visit the location. By driving to the location you will know if you are following the right route, or whether you need to take some other route due to some construction work in progress, and if the traffic is worse than you expected. When starting from your home, note down the readings on the speedometer of your vehicle and the time. When you reached the location, calculate the number of miles or kilometers you have traveled and time taken to reach. As you have measured the distance, time, and discovered the route, you can start at the right time the next day for the interview. Also, have a buffer time of 30 minutes at your disposal since you are expected to reach the interview location half-an-hour early. Going for an interview with a strong knowledge of the company, the interviewers, the competitors, the skills and experience, and the challenges to face is a perfect way to show your interest and seriousness for the job. 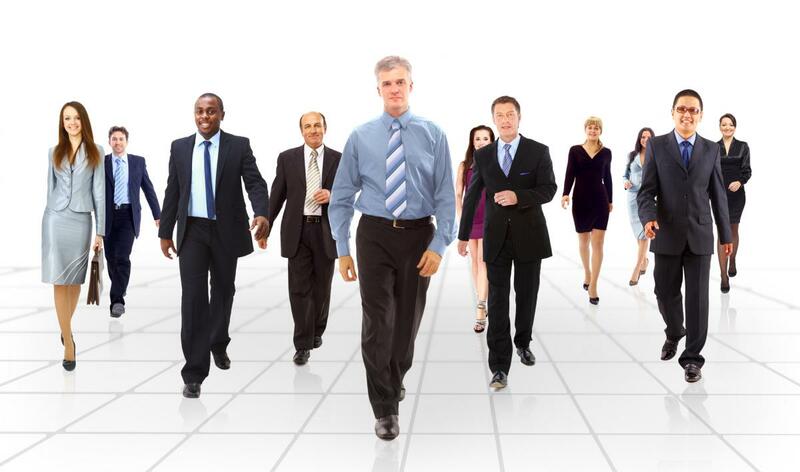 Moreover, it will also help you to appear different from other candidates and impress the hiring managers. So, take these things seriously if you have an interview coming shortly and rest assured of securing the position. Interviews! a daunting word for many, but a breeze for some. Few people appear and also ace interviews, while there are few who just cannot conquer their fears and so never excel in them. There are even more people having a fear of job interviews. Such fear stems from performance anxiety issues and the feeling of inadequacy in an individual. Such fear can be unnerving and totally uncalled for sometimes. Following up after the interview is a possible solution for job seekers to alleviate part of their doubts. It is also paramount for any person who is awaiting response from the company end. However this wait also can get excruciating and tough. Taking proper follow up can help in increasing confidence of the interviewee and also reducing the phobia of interviews. Follow-ups are such that, they could either favor the applicant or make the employer reject him. A small piece of paper; thus could end up deciding the future of the job applicant. 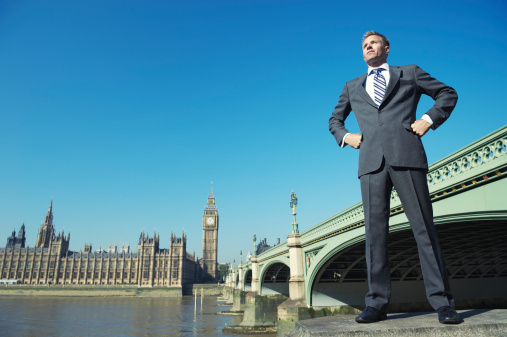 Instead of using phrases such as “Have i landed the job? ?,” using appropriate and open-ended phrases is absolutely important to extract a favorable response. Phrases like, “It was a great learning experience to interact with the bosses in your XYZ.inc” is likely to jog the memory of the interviewers. There are several interviewees appearing for a position and the interviewer won’t necessarily remember each and every candidate. So the trick will be to attract attention by being unique. Communicating with your recruiter through their email account is always a safe way to get in touch with them. Contacting them through any other medium (say on their personal mobile or home landline or personal email address) other than their official medium could dramatically reduce your chances to get through. This message to the interviewer needs to be sent in a day or two of the interview. The concerned message has to be such that it reminds the interviewer about you and also shows them your interest in the job. Your contact details and the reasons you find yourself suitable for the job need to be highlighted too. The job of an applicant isn’t over after the interview. And neither is it limited to going and appearing the interview. 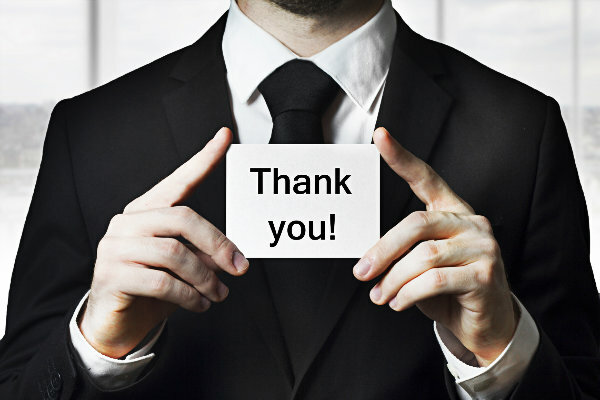 The thank you note in order to be effective needs to be personalized and drafted by the applicant based on his or her experience and possible role in the company in event of selection. 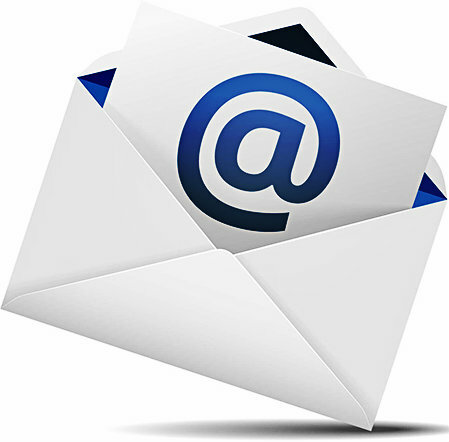 Keeping the email short, sweet and brief is significant in maintaining the essence of the message. Brevity also ensures keeping out unwanted material away. As also the fact that hiring managers are extremely busy people, be sure to come to the point quickly. There are chances that the mail would reach the trash bin if the concerned person doesn’t get the aimed message. Using wrong grammar and in a way sending across a poorly drafted thank you note not only portrays a poor academic background, but also a lack of seriousness on part of the applicant. Taking efforts in keeping followup after the voicemail or email message to the hiring manager sent, for a couple of weeks, is necessary. Forgetting to check your mails for any reply is unadvisable. The interest from your end should be visible. You are not really entitled to receive a response if the company doesn’t think you are genuine and interested. 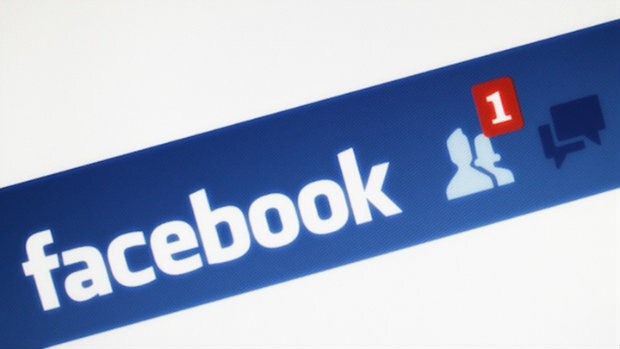 Use your social media accounts on Facebook, Linkedin, Twitter etc. to your advantage. If they project an unfavorable or negative impression of your personality, this can prove to be a hindrance towards getting a job. Remember that prospective employers are likely to go through your online pages while trying to get to know more about you. Online pages provide a great deal of other information about your personality which face-to-face interaction probably cannot. Be careful to project a positive and professional image in front of your prospective employers. Be careful about what information you share online about the interview – say through a status message on Facebook or a tweet informing netizens about the same. Similarly sending an add request to the interviewer is not considered appropriate behavior. Utilizing social media for professional purposes is a good practice for an individual in the long run. 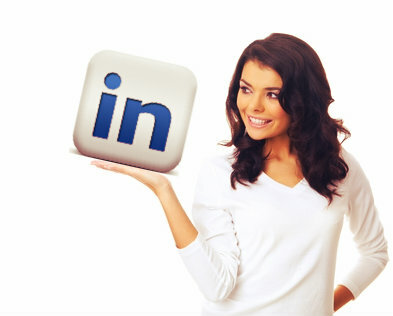 Keeping in touch with the employers through say Linkedin or Twitter can pay off for the individual. Sending articles to prospective employers to see your work can also help. For there are chances that the very same people would contact you for future work commitments. It is absolutely necessary to intimate your references about your interview and also the work you’ve done in the past. This, is a necessary step if in case the interviewer is finalizing you and he decides to contact any of your references. 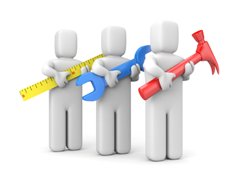 The references ought to have an idea and relevant professional information required by the employer. Hiring people for different profiles is no mean feat. Hiring managers always have a lot of things on their plate, so do not expect them to follow the exact timeline. Understanding that they are not in any way under any compulsion to answer you is helpful. Having references does not in anyway translate to bagging the job. References are just the entry tickets to any company. hence, the job seeker should steer clear of such wrong assumptions. Calling the recruiters for knowing their final decisions is alright. Whereas calling them too frequently could only make you a nuisance in the eyes of the employers. Likewise, calling them if there is no response post the interview in weeks is appropriate. Sending gifts or calling too many times would only kill your chances if any to land a job. It is likely to be even tagged as stalking. There is no sense in reducing your own chances of landing a job by resorting to such professionally uncalled for behavior. If contacted by the concerned company for a second interview, be sure that you respond in a timely and a quick manner. It could be a call for a second interview or to inform you about their positive response. 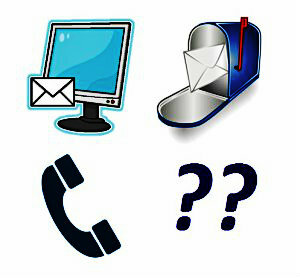 If you happen to miss the call or have seen their message late, do call or revert through message as soon as possible. If during the phone call, you get the bad news of rejection, do not lose heart. It is important to respond graciously and take the employer’s decision in your stride. If possible, try to ask them for feedback and the reasons of rejection. This could help you in improving your profile by sharpening your strengths and working on your weakness. Visiting the company for knowing the result of selection could put them in an embarrassing situation. It creates a wrong image and a bad impression on the employers. The job applicant is expected to know the minute difference between being persistent and being pesky. There is no doubt that the applicant has the right to know about his/her selection or rejection. 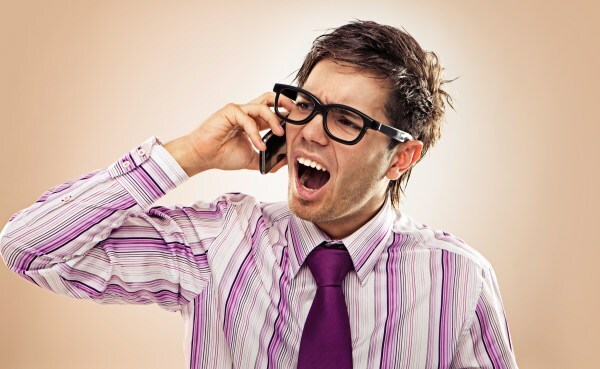 However it is in no way correct to inundate interviewers with constant calls and messages. Applicant needs to know where to draw the line. If the company you have appeared for an interview doesn’t respond after a considerable time, the candidate ought to understand the cues. It is unwise to put all eggs in a single basket. If couple of follow-ups do not yield any response, then it is a signal for the candidate to move on. Candidate needs to be open enough to respond to the other options available to him/her. The job market is vast and thus he/she can be able to tap other jobs if they keep their eyes and ears open. 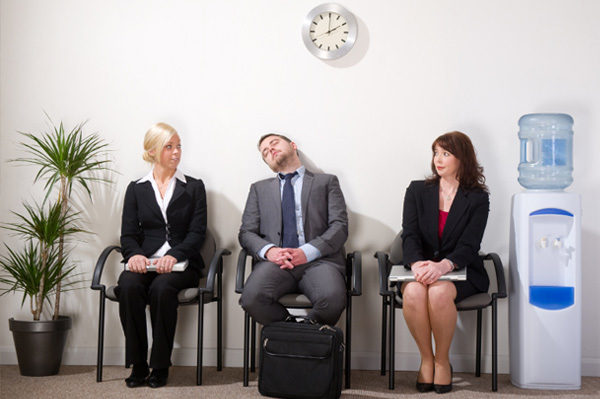 Well, for job seekers, interview sessions are a daunting experience. And to have that interviewer bombarding questions on you just one after the other, wanting to be on the other side of the table is simply irresistible. However, it is important for you to know, that the grass only appears to be greener on the other side. 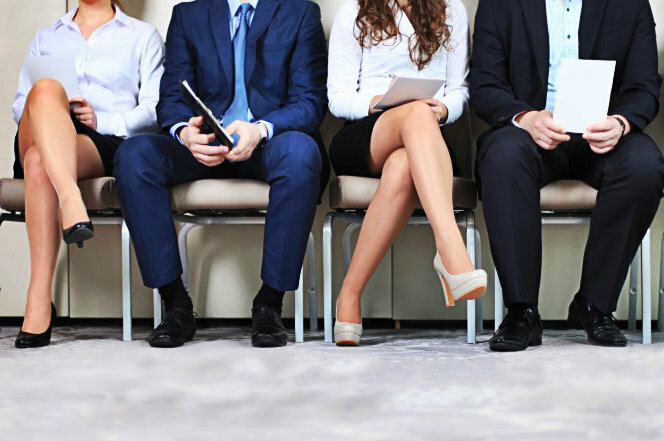 Even though it may appear to be, Interviewing a number of applicants and choosing the perfect candidate for the position is not a very simple task to accomplish. 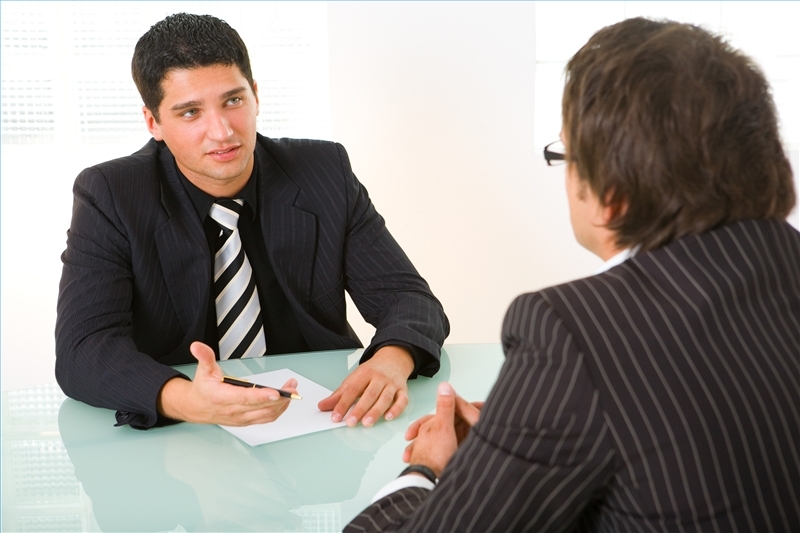 Interviewers are responsible for providing a diligent workforce to the company they work for. Failing this, lands them in an answerable position questioning their own professional stability and sustenance. Browsing the internet, we come across thousands of tips that can help job seekers have a successful interview experience. However, today we intend to discuss some interviewing tips from the interviewer’s perspective. A first time interviewer is equally nervous as the interviewee who appears for the selection process. Therefore, to aide them with some effective tools, here are some suggestions that may come handy while conducting an interview session for the first time. 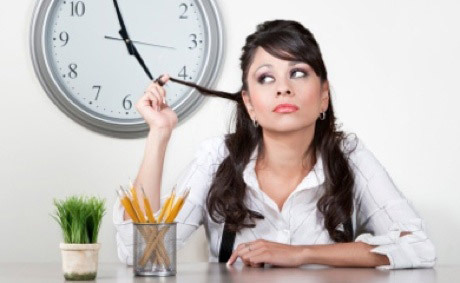 Taking an opportunity to ask a first time interviewer about a day he dreads the most; amongst the two given options as follows – a day as an interviewee and the first day as an interviewer ; I couldn’t land a prompt and easy answer. Now, some nervous look on the face of the applicant is bearable; however, when you are the one taking interviews, having that anxious look is just not permissible. Therefore, here are certain tips for all first time interviewers to have things fall on the right place from the first day itself. 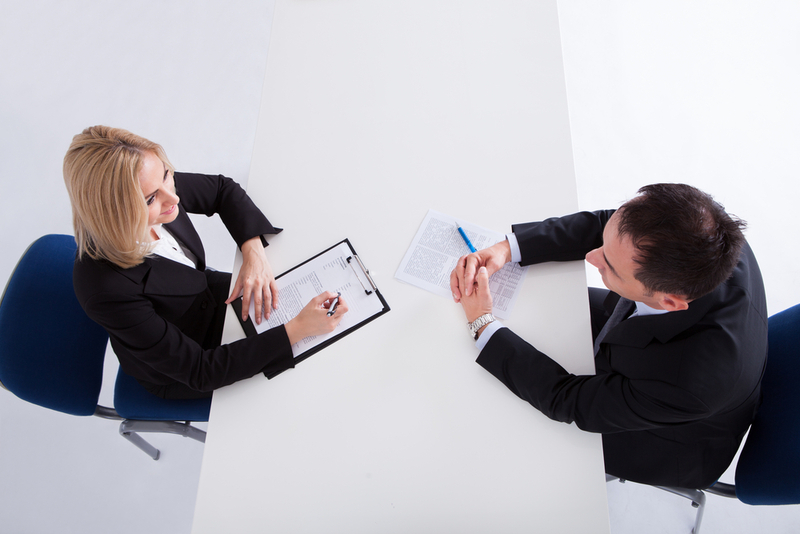 Interviewers must know what exactly they need to look for in candidates. The job description technically enlists all skills required by the candidate. Therefore, the applicants who line up for the selection process possess a similar level of qualification and skill set. However, not all can be the best match for the job. There are a few things besides the academic qualification that are important to perform well on the job front. These are never mentioned on paper; however, are important from the job aspects and company work culture. Therefore, before the interview, you need to understand the job role for which the hiring is being conducted. Apart from the obvious skill requirements, knowing the subtle things that the position may demand for is crucial in deciding on the perfect candidate. Well, as both of you are a little nervous; initiating the interview with an ice breaking approach is beneficial not only for the candidate but also for you. Ask for a brief introduction and note down the essential characteristic and mannerism the candidate showcases. This will help you while taking the fit and no fit decision. You may also give a brief introduction regarding the company as well as the job profile. 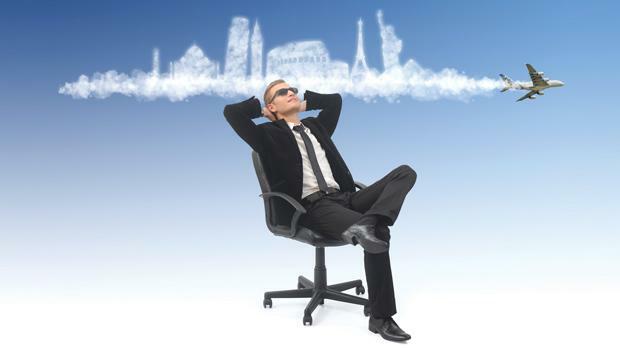 This will help you to get a little relaxed before initiating the core interview session. Now practicing for an interview is not only an applicant’s responsibility. You as a recruiter can make notes of what and how to go about the entire process. Visualize things on how you will carry out the process after the ice breaking session. List out your first set of questions as well as the answers you need to look for. You may even note down the points you cannot compromise upon. This will help you to make quick and easy decisions while choosing between two similarly skilled individuals. When you have a certain plan already worked out, being very systematic during the process flows in effortlessly. Moreover, you can get the most out of the discussion without requiring to stretch the interview for long hours. And finally, when you have examined the applicant from all aspects; you remain more confident regarding your decision of either letting to go off or holding back to a potential candidate. Well, the salary talk is something that will have to be carried out with one or two professionals who have proved themselves to be the most suited candidate for the job role. So, the good thing is you go through the entire process for just once or twice as compared to the entire interview process that has a number of candidates to choose from. However, now you don’t have a huge crowd and therefore if a potential candidate doesn’t turn up to join your company the entire money and time spent on recruitment process is wasted completely. Therefore, negotiating to convince is important. 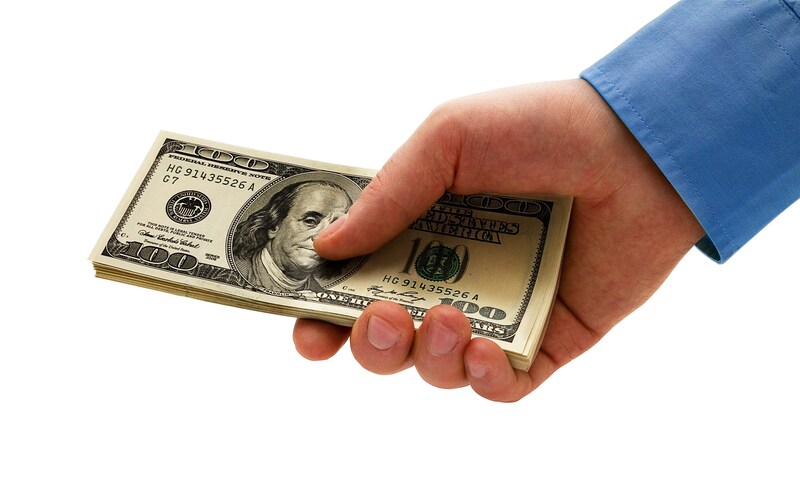 Salary is an important factor from the employee’s point of view. And again, the company cannot suffer the financial burden to retain potential employees who are equally expensive. Therefore, highlighting the good part of the salary talk such as perks, allowances the company bears and other facilities offered to employees in an attractive and manner is important. However, it is important to mention that salary talk is something slightly complicated and working out the best deal with a perfect candidate needs experience. You may take help from seniors in the team and when you start with it right from the first day, you will surely gain the required experience to nail it later in the future. 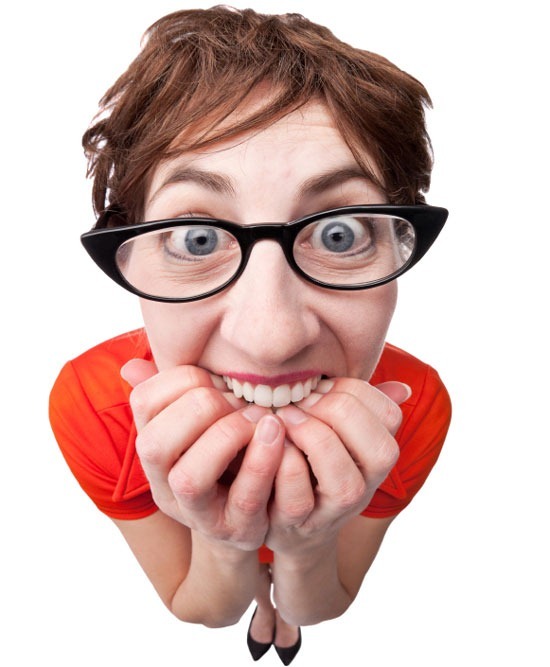 Finally, conducting an interview session should not scare you or the applicant in any manner. An interviewer plays a very important role in providing the company with future workforce who can take it to greater heights of success. Therefore, be alert, focused and confident every working day of your professional life. The tips mentioned above may help you to get started on the job front. Following and practicing these tips will make you an excellent interviewer and an asset to your company. Well, some say lying in job interviews may doom your career for a life time. However, sharing an unpleasant truth and losing the job is definitely not worth it, isn’t it? Therefore, I say, if saying half truth and harmless lies can get you that desired job, you can go for it! Now, this is very tricky. If you don’t know how to play the game; it is better you abstain from it. Having said so, learning this trick has somewhat become essential to make our way through this tough competition. Therefore, if you wish to give this a shot; here are certain tips that can help you understand when and how you can present some “twisted” facts. Never lie about expertise that you don’t possess. This is not going to take you anywhere. Even when you land the job role, you will not be able to survive. And in addition, you need to fight the continuous fear of being caught red handed anytime. 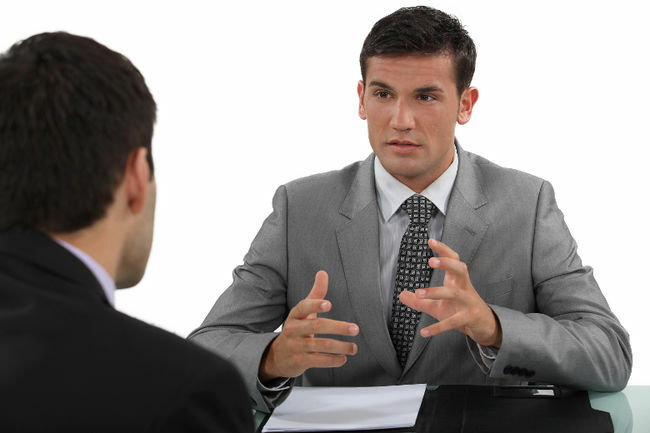 Interviewers hire you and assign job roles according to your skills and knowledge. You falsify your abilities and may even land the job; but what next?! How will you carry on with your day to day activities? So, never spoil your career chances by forcibly enhancing skills that you don’t really possess. Having names of some influential employers and organizations definitely works a few advantages for you. However, you cannot lie about having worked with these employers. Your recruiters will not take even a day to dig out the truth. Therefore it is a lame attempt to impress recruiters. Where and How you can lie and get away with it? To be in perfect and harmonious equations with everyone in our team or workplace is difficult to achieve. And when we have spent a couple of years in the same workplace, having a tiff with one or few is a very common scenario in most workplaces. We do have coworkers who hate or dislike us and vice versa. Sometimes, you have a difficult boss to deal with. And perhaps it is because of your boss that you are looking for a new job. However, never share these “facts” with your probable employers during interviews. Sharing this information projects you as an inefficient team player and that’s going to hurt your selection chances. Now, many of you may desperately avoid talking about your work environment and professional relationships. Well, although it may seem to be an easy escape from lying; in reality it’s not! If you don’t speak about your current workplace during interviews, your employers will definitely bombard some tricky questions upon you. So, if you don’t want unwanted complications; you need to lie about having a very harmonious work environment and pleasant relation with all your coworkers or colleagues. And don’t forget to mention that you have a very supportive and ideal boss; no matter how cruel he/she is. Here, the greatest mistake you can make is to say that you have no weaknesses as such. Well, all of us need to have some or the other weakness or shortcoming. However, being very honest and stating the exact truth can be dangerous. What if you know that the greatest flaw that you have failed to overcome is the ability to concentrate on the job front under pressure. If delivering presentations before a group of professionals is extremely difficult for you. Well, if your interviewers come to know about these flaws within you, getting hired is simply impossible. Therefore, never share your greatest weaknesses in real; however, you need to have that greatest weakness to present yourself as someone who is completely aware about himself and knows where to improve. Landing a desired job role, that’s in alignment with your career objective and aspirations, is not always possible. However, this is the best answer to give when your recruiters want to know the reasons behind your decision of switching your current profile. Well, you may have plenty of reasons to switch jobs, perhaps money or workplace environment or worse – you were fired. However, never mention these pieces of truth during your interviews if you do not want your recruiters to question their decision of fit or no fit. No matter how you spent your Sundays and how many parties you are attending every month; you always need to have some real constructive ideas to answer these informal yet relevant questions. Photography, reading, preparing new dishes are some of the activities you can consider to be your hobbies and therefore say the same. 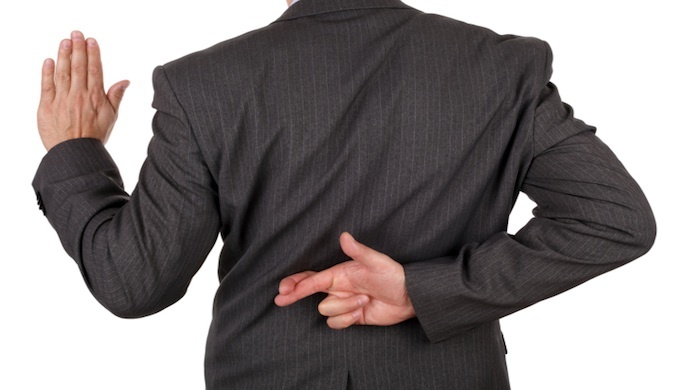 Well, the above mentioned are lies that you can easily spell out in your interviews. These are not very easily caught and moreover not very harmful. So, if you come across similar questions in interviews; you know how to answer the question with some exaggerated facts that impress your recruiters and land you that job. Are You Preparing for Group Discussions? Group discussion or popularly abbreviated as GD has become an integral part of academic and business interviews. It is most effective when number of candidates appear for a single vacancy. There can be various techniques that can make you successful in GD s. However, before knowing the technique, knowing the purpose is essential. Therefore, today’s discussion focuses on exploring the purpose of Group discussions and then moving forward to knowing techniques. Group discussions are commonly carried out as one of the qualifying rounds in B-school admission processes or company interviews. Applicants are divided into groups and then asked to carry out informative discussion on any given topic. Now, the question arises that why GD forms a crucial part of almost all selection process?As we all know, being a part of any organization or graduation school, require candidates to possess some particular traits. One among those is the ability to work in a team. While candidates are placing their opinions on any given topic, employers are busy scrutinizing behavioral aspects of candidates. This includes – how candidates respect views of other individuals in a team and yet is capable of placing his/her individual opinion effectively. 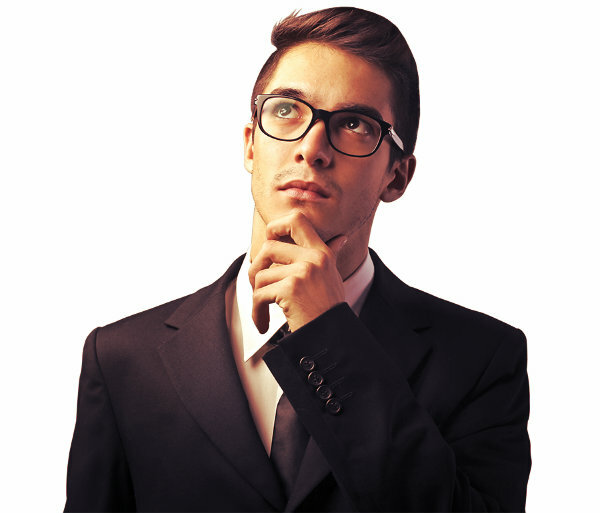 In addition, employers can also identify an individual’s ability to analyze situations. Determining pros and cons of situations is one very important skill that employers look for while hiring candidates. So the easiest way to determine any candidate’s analytical skill is through group discussion. Further, GD topics are not something related to your course ware. They are mostly related to current affairs and developments. Now, every employer wants workers to remain updated and connected to the world at large. So, group discussions can also help employers to filter out and reject candidates who choose to remain detached from activities taking place in and around the world. Thus, group discussion is one of the most convenient way of filtering out suitable candidates, in situations where huge number of applicants come up for a single position. 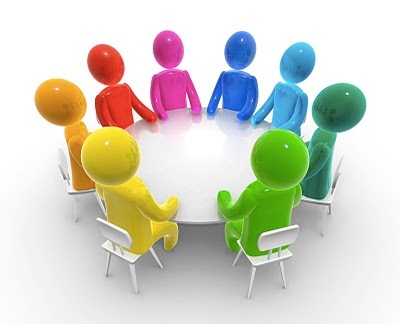 Now that you are aware about group discussions and its need, we shall move forward on the “how” factor. That is how to excel in group discussions. You may be a good orator; however, there is a difference between extempore and GD. While in extempore you only need to express your opinion on any given topic for a short span of time; GD is presenting the most recent and relevant information. If you provide outdated information, you loose the game. Therefore, it is important that before appearing for the round, you make some preparations. And this is not only restricted to public speaking techniques and rather extends much beyond that. 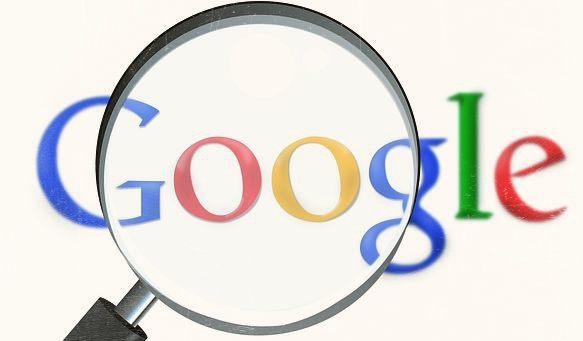 Google has made things so easier for us and therefore, it is our responsibility to make the best use of this platform. Get familiar with recent updates related to all fields – sports, entertainment, social and economic issues, prominent historical events etc. Once you are done with this, get a little more precise. 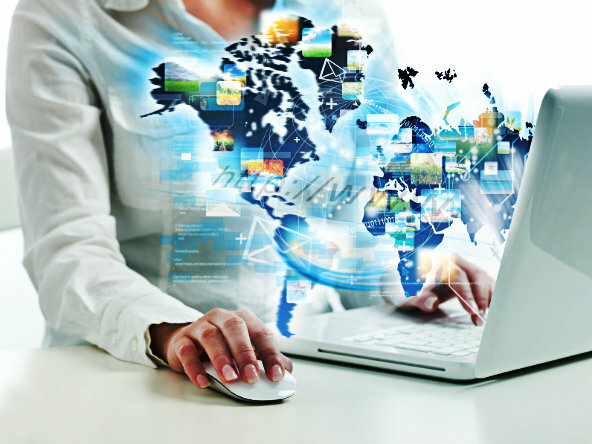 Carry out research on company business and prepare on some topics related to it. As for example, if you are appearing for an interview with a company dealing with electronic gadgets; your employer may present you a topic related to new inventions related to gadgets or the impact of these on human lives. While most organizations prefer general topics for group discussions, some may provide more precise topics. So, if you remain prepared with such topics, you are already having an upper hand. Now that you have prepared well for the session, you need to prove it through your performance. The following section discusses some essential techniques of being the limelight of any GD session. When do you start? This is something very easy to decide. You must be knowing that any candidate who initiates the discussion earns some additional perks. However, here, there is a catch. You only earn those perks if you can direct the entire discussion to something substantial. If you start with drifted notes, entire discussion goes haywire. Therefore, be careful. If you come across topics that you have really prepared well, never miss an opportunity to initiate the session. However, if you are a little shaky, do not become the lead. Instead, take some time to sink into the discussion and slowly make way to contribute essential points to the discussion. Is it a good practice to oppose? 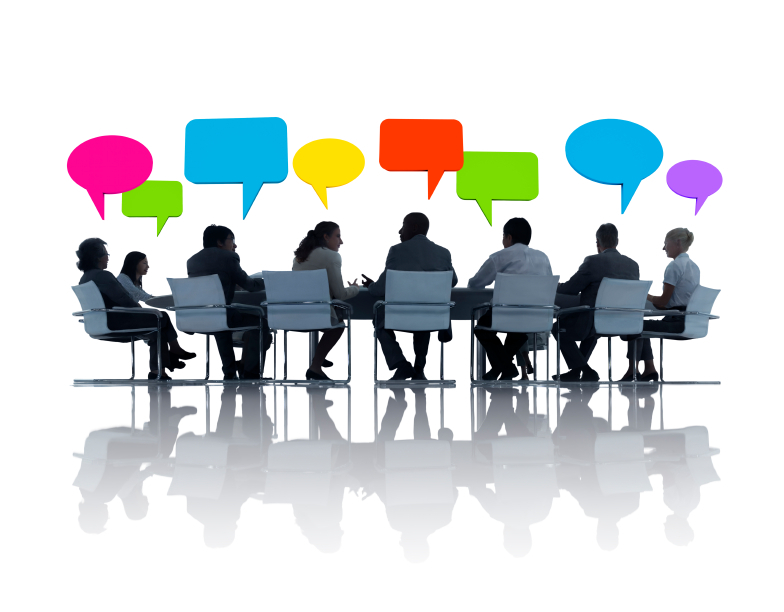 Group discussions tend to become a little monotonous if it has no variety of opinions in it. 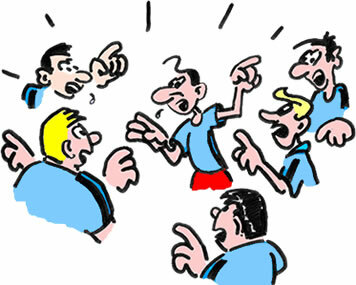 Employers look forward to a healthy debate during GD s. Therefore, opposing the motion is always a good practice. However, if you are thinking of opposing the motion, you need to say something convincing and relevant. Again, if you have started with an opposing tone you need to follow it till the end. You cannot keep drifting from one side to other. Another important thing that you need to keep in mind is that, you cannot outwardly say that your team mates are saying something that you do not support. Sentences such as “You are wrong.” “I don’t think so.” or for that matter any sort of personal comments needs to be completely avoided. Always start by giving due respect to all your team mates. You need to put forth your ideas and counter points. However you cannot force others to say what you think is correct. This is something very essential during GDs. Beware! Your employers are constantly observing your subtle movements. During the session, you need to be confident. Wear a smile on your face while you are introducing yourself to other team mates. Also, pay complete attention when others are doing the same. It is not sufficient that you are attentive only when the discussion begins. Paying attention during the introductory session is equally important. Maintain eye contact throughout. Share glances with all your team mates while speaking and when others are placing their opinions, you are expected to do the same. Many candidates behave in a less attentive manner and have constantly drift sights when they hear other individuals speaking something they do not approve. This is considered as bad manners and needs to be avoided completely. 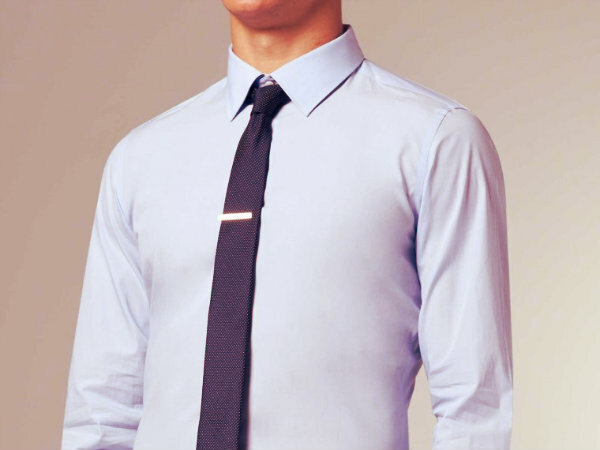 In addition, your attire during personal interviews and group discussions need to be the same – Formal attire. Don’t miss that! 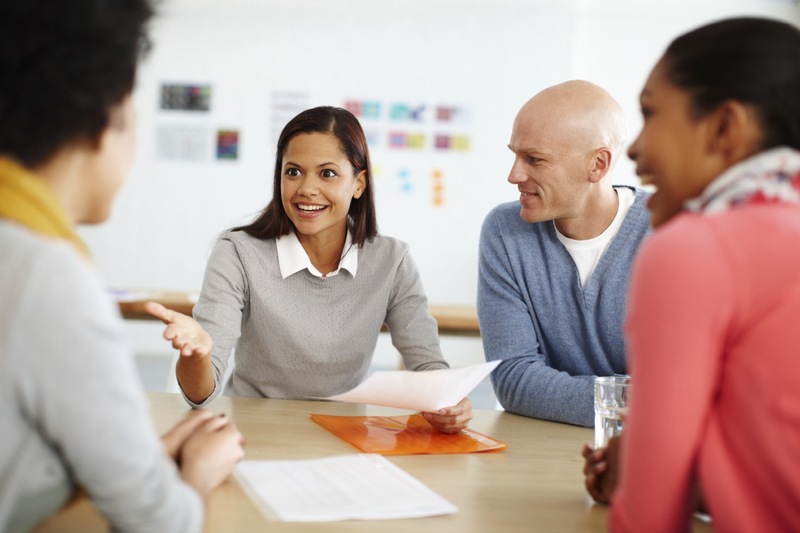 These were some essential tips that can help you administer successful Group Discussions. In addition to these, you can also have your unique techniques that can excel your participation up to a great extent. Hoping that you did find this handout informative, wishing you very best for your future endeavors. Auditions are the entry points for an acting career. 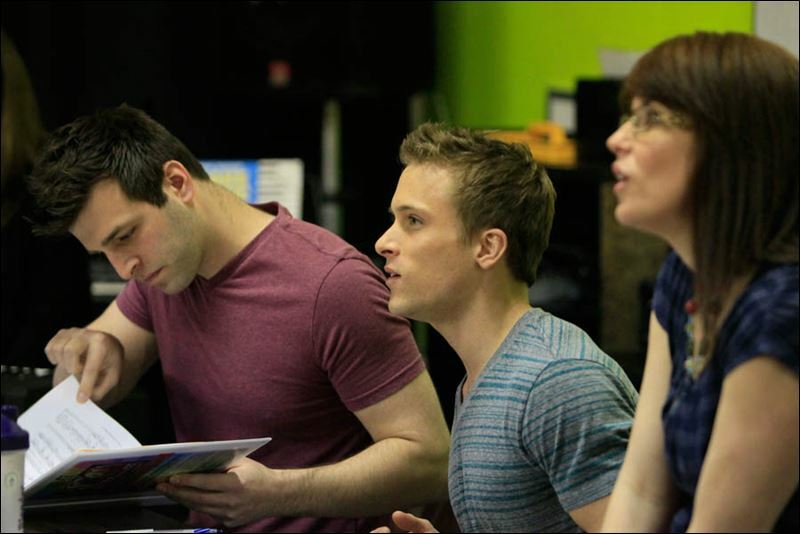 If you are improving with every audition, very soon you are there with your first project in hand. You have spent a couple of years in your acting school, and now you only need to reach the right place to showcase your skills and knowledge. Here is where many aspiring actors get a little confused. They are not very sure of how to go about the entire process of landing audition scopes. Many potential applicants end up wasting a couple of years, just to receive an audition invitation. They keep on working on their skills, and after a while they quit. And that is very sad. There are only a few who continue, and of course they are the ones who go ahead. Therefore, today’s discussion focuses on a few tips about landing an acting interview and eventually landing the job. Want an acting interview – whom to approach? No one can know more than Jack the importance of meeting the right person when someone is aiming at building a career in this profile. Jack, who completed his education in acting from one of the reputed acting schools, had to wait for a long period before he got his first break. Now, when he goes back to dig out those reasons, he finds that he was approaching the wrong person for an opening. “It is the casting director and not film director or producer you need to meet,” says Jack. The reason is pretty simple. 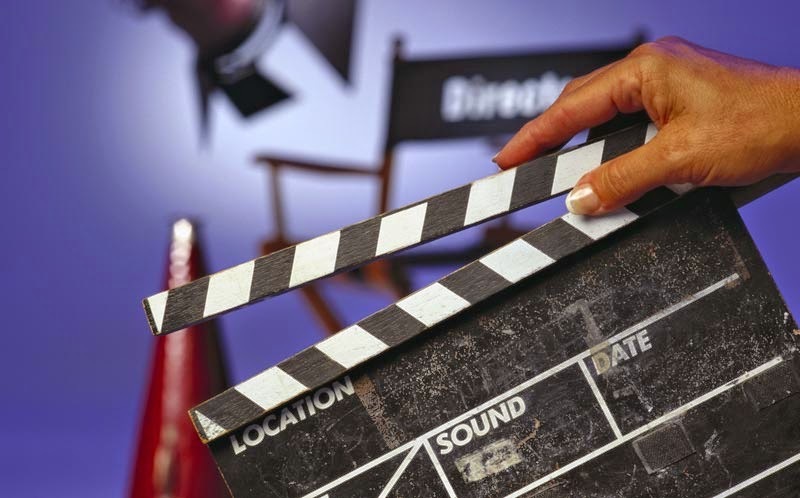 Movie or serial directors are more engrossed with their upcoming movies and their stories. Once they decide on making a movie, they think about existing actors, who can play and justify the roles of different characters they are assigned with. Again, when they are in need of fresh faces, they approach – whom? The casting directors, of course. Once they sign up with their cast, they are done. They get into shooting the movie and so on. There exists a very thin chance, that they can recall your name and then contact you on their next venture. On the other hand, casting directors maintain a track of all newcomers who are trying to grab a position in this industry. 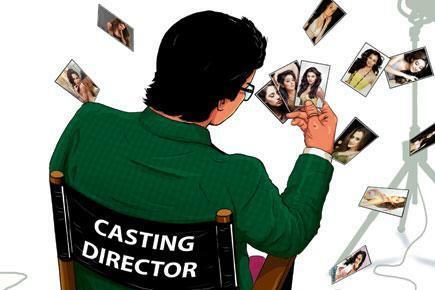 They know about all upcoming movies and directors who are in need of new faces. Therefore, they can kind of fit you in some of those roles only if they are aware of your acting potentials. Hope you now know why you need to meet the casting director. How to ace an acting interview? Oh! What a relief. You finally received a reply from one of the many casting directors, you had requested for an audition. The mail read only about the date, time and venue. Nothing else. Attitude is what matters the most in this show business. Better your attitude, longer is your stay in this industry. Now, your attitude is not something that undergoes a scrutiny only at the time of your audition period. Beware! You are under strict scrutiny right from the point you set your foot in the door. So do not get tensed or nervous. And even If you are, do not display. Be confident and think only about your performance. If you perform well, you are already there. It can be in the rarest of cases, that the first audition lands you a bigger role. Any superstar you can think of, has crossed at least a couple of meetings with casting directors before landing that superstar role. Experienced professionals say that the idea of performing well in auditions, is not that you sign your first acting venture. Rather, initially it is just about impressing casting directors so that he/she calls you for a series of auditions thereafter. If you are meeting a few of the directors quite frequently, be sure that you are just on the right path. Very soon you will be signing in your first movie contract. So keep up the good work. Ultimately, it is all about how you present your acting skills. Therefore, similar to any exam or interview, auditions also need preparation. 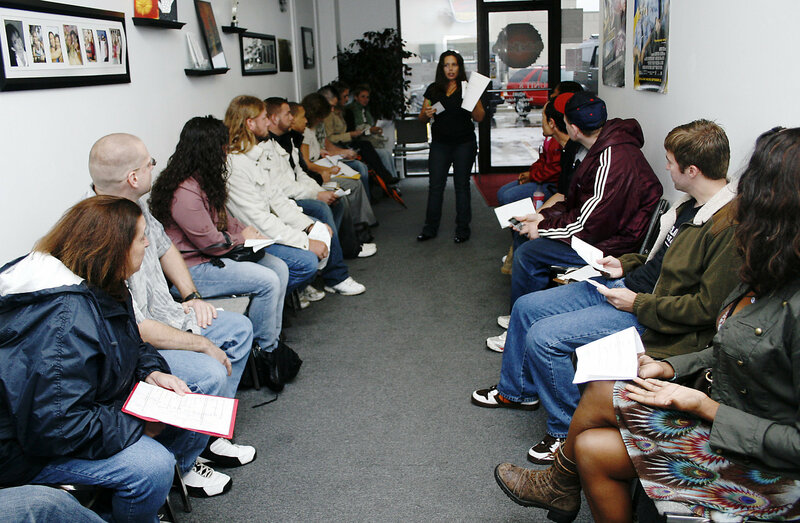 Usually, all casting agencies have a pre-defined method of auditioning. It comprises of several rounds. Out of these, at least few initial sessions remain the same. Research on those and prepare accordingly. If you are a little prepared in these initial rounds, you remain more confident in closing sessions that are always unique; as it directly connects with the character for which auditions are taking place. Here, it is only your expertise and passion for acting that speaks. If you really have it in you, you go ahead in the race. What to do after the audition? Once you are done with the interview, you may be required to wait for some time to know about your results. While you are there waiting for your verdict, remind yourself about the questions you need to ask if you haven’t made it. Ask your director for a feedback. It is the only means of working on your shortcomings and thereby improving for the better. Never get disheartened and always know that auditions are more of a learning experience. A successful career in this industry is something so rewarding that only people who have experienced can truly narrate the story. However, nothing comes for free, and this career demands for excessive hard work, repeated trials and continuous rejections in its initial days. Thus, for those who have the real love and passion for acting, never shy away from the failures in auditions. Keep on trying and one day you know you are going to make it. The City Business solutions has recently announced a job vacancy for the position of Sales Executive with their organization. Sara, a Business graduate from one of the top Business schools, suddenly comes across this particular job listing and decides to apply for the position. It was pretty obvious, that she would definitely receive an interview invitation from their side. Sara, being the top scorer throughout her graduation, was expected to do quite well in her interview session. Her friends and college instructors as well, assumed her to be someone with great interpersonal skills, merged with the right amount of confidence and wit. In addition, she was conversant in three different languages, that was marked as one of the essential candidate requirements. Sara qualifies the telephonic interview session and now needs to prepare for the last and final round of personal interview. Just the night before her interview, she works on her graduation subjects, sets her interview attire ready(decided after some extended research) and arranges all her required documents. “Sorry we cannot offer you this position.” This is what her email read the next morning. Sara could not believe her own eyes and read the mail several times. However still, sorry was not replaced by congratulation and can did not replace cannot in the mail. She recollects the interview session, only to find that she had replied to all questions with the best possible answers. She fulfilled all candidate requirements and was appropriately dressed as well. Who on this earth can give her one single reason for her rejection?? Perhaps, it is Mr. Brown who had interviewed her the day before. However, how can she reach him at this point of time? Mr. Brown on the other hand, was still thinking about this interviewee named Sara. Yes, he had rejected her; however, it was with a heavy heart indeed. Is he going to change his decisions now?….No not at all. Mr. Brown was highly impressed by her resume and the interview session that followed. He was keen to meet her and thought her to be a potential applicant for the required position. However, he was awestruck to know that the girl, who he had seen, fidgeting with her hair while waiting in the interview queue was the same Sara he was so interested in meeting. He would still ignore this, as she really possessed strong skills required for the position. However, the way she used her teeth as a nail filler and the continuous movement of her hands each time she explained her answer was quite annoying for the entire interview panel. Thereby, Sara was unfortunately rejected. Despite being multilingual, she lacked the much needed non verbal communication skills or effective body language as you can term it. This scenario is not something that occurs rarely. 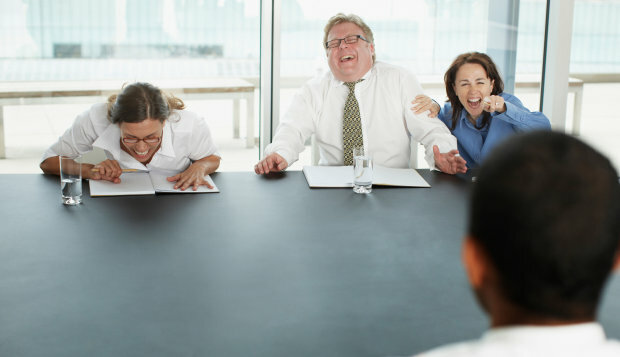 Interviewers, similar to Mr. Brown have revealed, that almost a quarter of applicants they come across on a daily basis; get knocked out of the race, as they do not know how to present themselves seemly. When asked about the importance of appropriate body language and things they consider while taking the fit or no fit decisions; this is what they had to say – 90 Percent of personal interviews are conducted to study the candidate’s non verbal communication. And it takes only 30 seconds for interviewers to judge your potentialities required to handle the job role through your body language displayed. The following section discusses applicant mannerism that snatches job opportunities from right under their nose and some that makes the journey to landing desired job role a cake walk experience. Handshake – firm, dry and short. However, not strong enough that it starts hurting the bones of the other person you are greeting. And not so brief, that you appear to be someone who was forced to shake hands with a person you dislike the most. Your handshake needs to display your confidence and enthusiasm. Therefore, have it moderately firm, where your right hand clasps the same palm of your interviewer; to shake hands in an up and down motion for three times at the max. This needs to get over by three seconds approximately; after which, you can release your hands. While you shake hands, it is very essential that you look straight into the eyes of your recruiter and have a pleasant smile on your face. 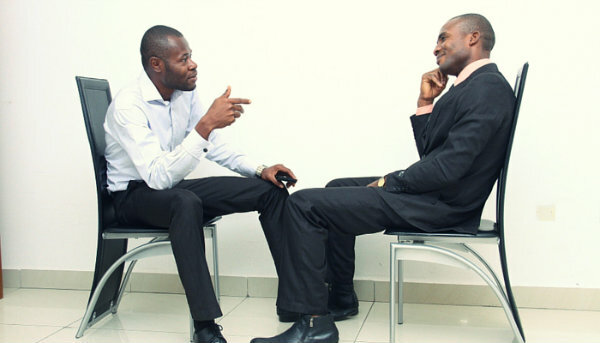 This is how you initiate your interview session and remember to close it in the same manner. Now, if we are to talk about dry hands, this is something you need to work out on your own. Well it has been from our Montessori days, that we were taught to sit up straight. However, the extent to which we actually follow proper gestures is something we need to think over. Do not be extremely stiff and rather be comfortable on your interview chair. For those who cannot stretch for longer periods sitting straight in one posture, you can slightly lean your back on the chair. Sometimes you can even subtly move forward. This gives an impression that you are interested in the conversation and are finding it useful. Again looking straight into the eyes and not swinging your legs continuously during the conversation is so very essential. If you miss out these,you may even loose the job opportunity; that was otherwise very easy to land. Therefore, practice to have still legs, while you are comfortably seated before your interviewer. Sara slipped out from the interview race for the over use of her hands, in an attempt to demonstrate perfect answers. However, her actions made a wrong turn and interviewers instead got distracted by the over use of hands and found it difficult to concentrate on what she intended to say. Similar to her, there are perhaps number of such unfortunate cases. Well this does not mean that you will need to tie up your hands as tightly as possible. However, do not over do it. Your interviewer may interpret it to be a gesture to conceal your nervousness or perhaps they may think that you are lying. It is best when you place your palms on your lap and never cross your arms during the conversation. Also, do not touch your face or any other part of your body during conversation. This was all about maintaining a perfect body language during interview sessions. Hope you come out with flying colors in your next interview session. All the best and with this we wrap up today’s discussion. Completed your graduation with a 9 point GPA score; what else do you need? All the good wishes and congratulatory notes you receive from friends and family, are good enough to instill a sense of accomplishment and pride in you. You are at the top of the world, confident to conquer just anything that comes across. It is only a job you need to land now. You know your destination, you think you have the relevant expertise and above all, you have a score card to flaunt. However, easier said than done; your first interview comes as an eye opener. A small window of your fantasy world opens to the real world. Yes, you get rejected just at the first round of interview despite exceptional GPA score. What next?? You feel dejected and lost. Perhaps, you were one of those, who never failed semester exams. And now, getting rejected is just unbelievable. You take some time to let go these horrifying experiences and again gather strength to face interviews with better preparation and courage. However, a second failure is not what you can handle any longer. You have no clue about why you are not being able to get through these interviews, despite having the best preparation possible. Nevertheless, you need to believe, that this is not something that cannot be dealt with. And more importantly, you are not alone who is stuck in this situation. Almost all first-time job seekers tend to make some common mistakes. Now what are those mistakes and how to overcome them is what concerns you – right?? Well, before that, how many of you know that graduating from a famous college is not a confirmed ticket to a desired job? Not many I suppose. Scoring in graduation program is important and perhaps that is why we slog day in and day out. Having said so, what if someone comes and tells you that there are factors that can underplay your excellent scores?? How much time do you need to sink yourself in this thought? Being happy and staying confident is one side of the story, and thinking that you are as wise as King Solomon is something different. Yes, you have scored well; however, that does not mean you can get a CEO position. You are yet to gain loads of experiences and knowledge, before you reach that top position. Therefore, leave room for learning further and do not get stuffed with you GPA, so much that it hinders your process of learning. Spend your time talking to veterans and career coaches to know about the latest hiring trends and abilities required for handling job roles of your choice. Review yourself to check if you really have those skills. Only when you stay grounded, you will realize that you have plenty to learn. Once you can do this, you will never go unprepared to your interview, and therefore, will face no rejection. As fresh graduates, we have a dreamy conception about our professional lives. And why shouldn’t we? After a long time, we are about to earn our own money to spend on luxuries and spare ourselves some indulgence. Nothing is wrong with that; and of course you will land in positions where you will earn in singles and spend in doubles. However, that just cannot happen within the first three months of your professional career. Various career coaches have said that college grads have too many expectations from first career opportunities. Most of these are undue and cannot get fulfilled at initial levels. Unfortunately, due to lack of experience, job seekers tend to waste some of the lucrative opportunities assuming these factors. Hence, it is advised that, job seekers who are yet to begin their career, need to take opportunities as a means of learning new things and gaining experiences. Monetary benefits and other perks will soon follow once you make yourself deserving enough. Going through graduation topics for the 13th time at midnight and then waking up scratching your eyes to go directly to the interview spot is the worst thing you can do. Excelling in interviews requires you to present yourself in the best possible way. This includes a good professional attire and a positive body language. If you appear very dull and lack enthusiasm, you are already out of the race. The interviewer at the first place is exhausted, interviewing thousands of applicants. Now when you seem as though you were starving for a week and is surviving on the last bit of energy; the recruiter feels that it is better to let you go, than to make you sit for the interview. Thus, it is important that you prepare yourself few days before the interview, so that it does not get very hectic just the day before your interview. Well, we all pursue academics to gain knowledge and pursue relevant job profiles and earn a good lifestyle. However, you cannot tell this to your interviewer. Many first-time job seekers tend to explain their needs and expectations from the company; instead of explaining what they can do to bring profit and add value to their organization. Remember that the company is hiring to make profit and not to give platforms to enhance your skills. Therefore, present your skills, education and knowledge that seem to be useful from your employer’s point of view and not yours alone. They say that mistakes are the pillars of greater success. Do not get disappointed with your mistakes and rather work to overcome those as soon as possible. 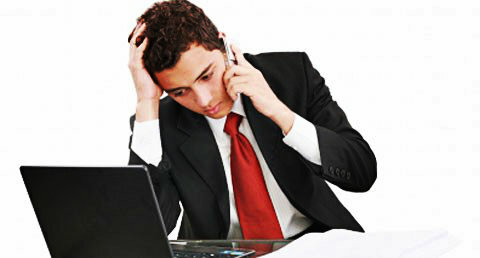 The above mentioned, are few very common mistakes that are seen in first-time job seekers. If you too have made such blunders, that’s perfectly alright. At least you now know how to overcome those mistakes efficiently. It is 9.45 AM in the morning and you hear your phone ringing. While walking towards your phone, various thoughts cross your mind. Is it an old friend calling or a telemarketing call or perhaps a call from the recruiter’s office,to whom you had mailed your resume, few days back. Taking the call, you hear your probable employer, who is eager to arrange a telephonic interview session for you. Yes you have made it. Your resume got through those difficult screening procedures and was sufficient to impress recruiters, that they have invited you for the next round. Congratulations on this. Qualifying this phone interview will lead you to a face to face interview and finally you may even land your desired job role. Therefore, a first rate performance here, is your prime focus for the moment. On one hand you feel it is easier, as you do not need to worry about your appearance during the interview. On the other hand you think that it may get a little awkward; as you are not very habituated in administering professional or business telephonic conversations. How can you go about it? What if the phone disconnects abruptly? What if you could not get that question the first time…. Well, you get an answer to all your questions only when you start preparing yourself, the way you had prepared your resume. Every interview procedure is unique and it can only be nailed, when you know the trick. 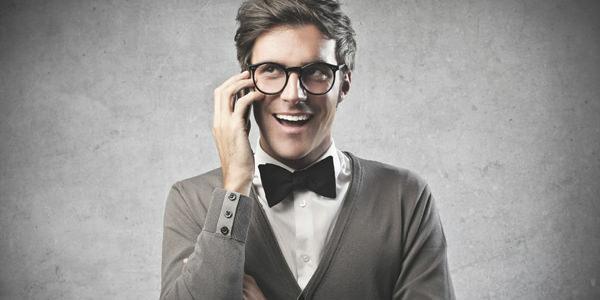 Here are few tips to prepare and execute phone interviews. 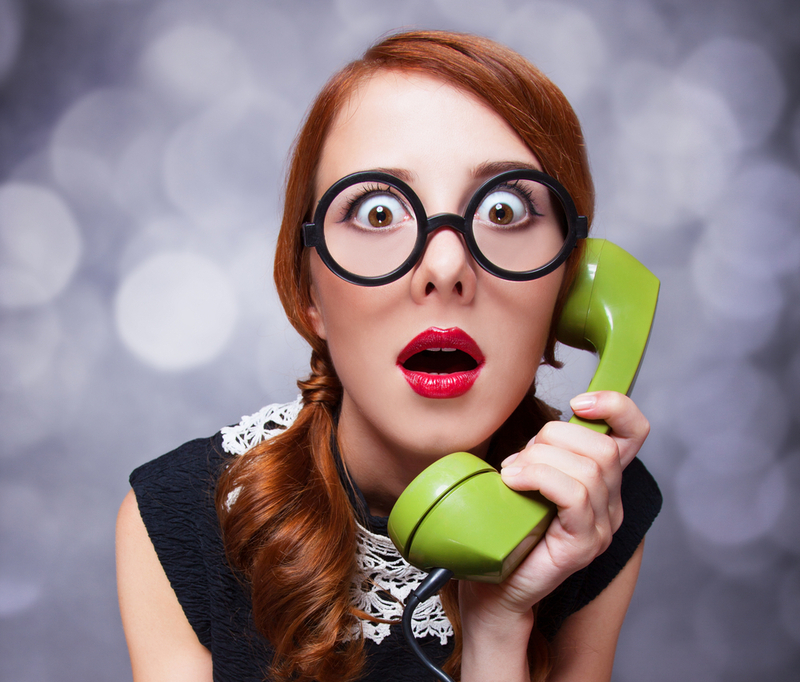 Can you guess one advantage of phone interviews over personal interviews? Well, it is your notebook that you cannot carry to an interviewer’s cabin; you can very well have it before you, while executing phone interviews. Have a copy of your resume and the job description, before you start with the interview. Your notebook needs to list all your accomplishments and expertise briefly. This does not mean that you read out whatever you have jotted down; rather, it is for assuring that you do not miss out some essential points. 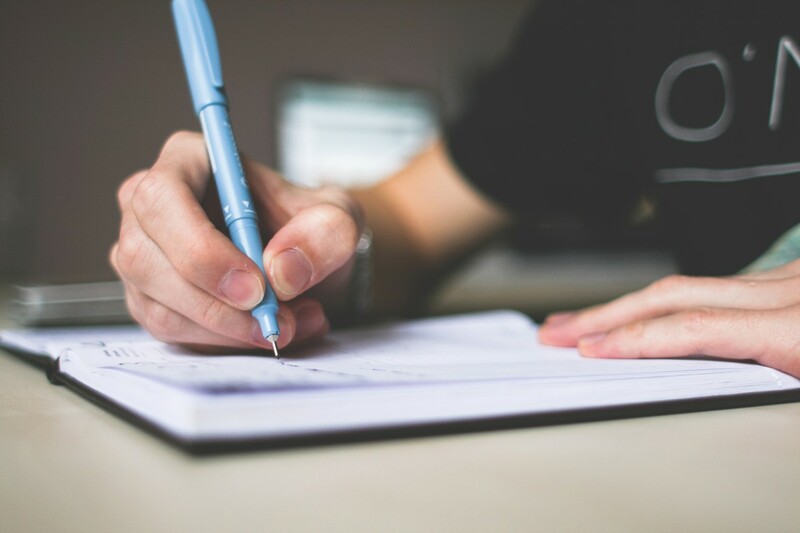 Again, having a notebook will help you to quickly jot down some important information from your recruiter’s side as well. This is more like a psychological preparation rather than any stereotypical practice guideline. It is said that, when we smile, it generates optimism and positivity within ourselves, that gets outwardly radiated in the form of enthusiasm and energy. Therefore, make it a habit of smiling, when you are taking such crucial calls and talking to people you precisely have not met earlier. 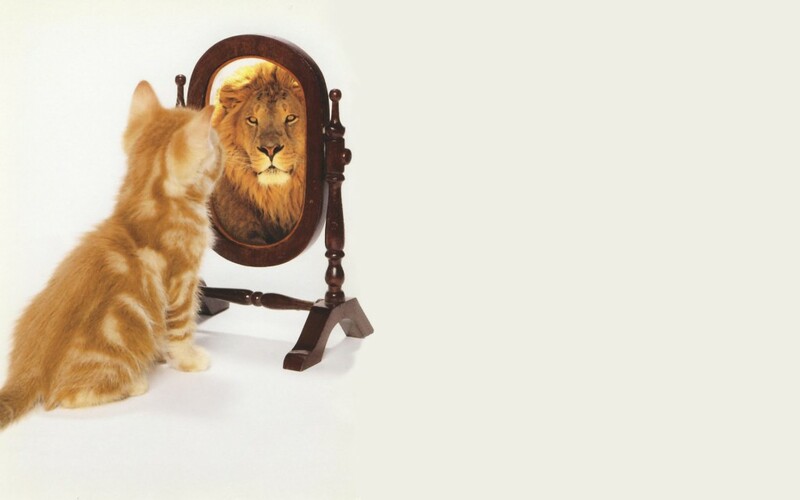 This will boost your confidence that will get reflected through your voice. It will help your recruiters to get a positive impression that will accentuate your chances of selection. Try attending the call from the most favorable place, perhaps your own apartment. Ensure that no background noise interrupts your conversation. This is something that is considered as bad professional etiquette and needs to be avoided at any cost. Now, if you suddenly get an interview call when you are in a clumsy situation, you can definitely request to schedule the interview sometime later when you can be at a more appropriate position. This gives your recruiter a sense, that the applicant is serious about the interview and wants to perform at the best possible level. However, if you have already scheduled your interview timings, you need to attend the call at the said time only. Lock yourself in one of the isolated rooms in your apartment and ensure that there is nothing or no one to disturb you. Have a glass of water on your table along with your mobile charger and all required documents. 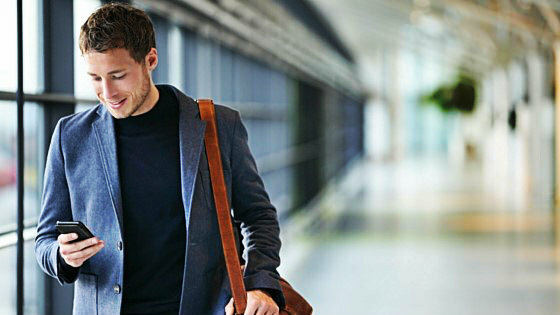 Unless, you have a very sound wireless connection, prefer using a land-line as it provides better audibility. Now this is something that appears to be a very polite gesture, to show that we have missed out something that the other person said and we want them to repeat the same. However, this does not work well with interview sessions. This gives a sense that you are not very attentive or not taking the interview opportunity with due importance. Again, if you unfortunately land in some unexpected situation, that forced you to get distracted; be honest and inform your recruiter the same. Some things are out of our control and your employers do understand these scenarios. However, if you have a divided attention and your recruiter does not know the very reasons behind, he/she may consider this as something offensive. 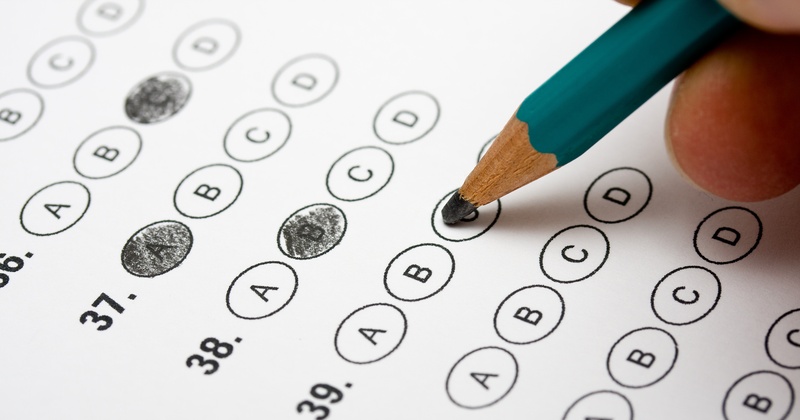 Remember, how you appeared for mock tests prior to main exams as a school or graduate student. They always proved to be helpful, isn’t it? Well, you can still do the same for phone interview sessions as well. Prepare a set of commonly asked questions and ask someone from family or friends to take a mock call for you. Take their feedback and listen to your recording. Doing this, you will know about your pitch levels or the pause duration. In addition, this helps you to get rid of all your “uhs”, “umms” or “u knows” that usually hinder the pace of your conversation. During the practice session, you can even dress up in some professional attire that can give you a real feel of interview sessions. Well, this may sound a little out of the box; however, try this and you will know how effective it is..
Alls well that ends well. Something that is important here, as it is for any other purpose. It is a human tendency to retain the initial and the ending conversation for a longer duration of time as compared to the middle portion. Therefore, most of your selection decision depends on this factor. So you need to reach the finish line accurately. Never forget to thank the interviewer for his/her time. Request for feedback and appreciate the same when received. Inform them that you will be be happy to be a part of their organization and use your relevant skills . This is how you again re-emphasize on your skills, so that they remain fresh on interviewer’s mind. Well acing phone interviews is no longer that awkward. You now know how to prepare yourself and excel in similar interview sessions. Following these above mentioned tips will greatly accelerate your chances of selection. Hope you will do well in your upcoming interview and wish you all the very best. Job seekers receive loads of advise regarding interview preparation. Starting from topics they need to prepare; to the type of attire they need to wear during the selection process. For just anything you want to know regarding interviews, you have millions to help you out. 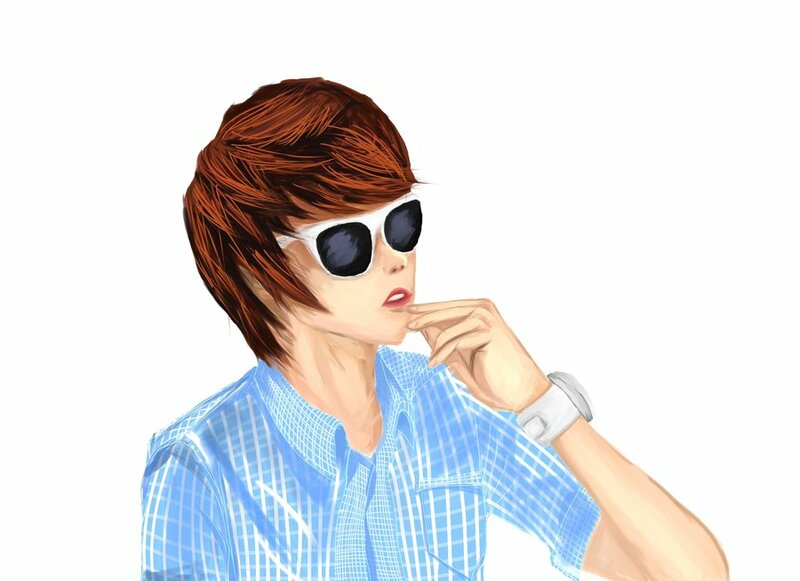 Can you ask me my clothing brands?? Can you ask me how I had spent Valentine’s Day previous year? Or for that matter, how often I visit children amusement parks?? No and never. Yes, interviewers can ask anything under the sky; only in an attempt to know the candidate’s skills and expertise or knowledge relevant to the job postings. While there is much hue and cry about interview preparation techniques, very less do we know about things an interviewer cannot ask applicants. Yeah….Don’t be surprised. This is a fact. Well, to term these questions as illegal will be an exaggeration. However, when recruiters take their hiring decisions based on these personal attributes, they can be dragged to the court by candidates. The next time you suffer interview rejections for that one question you felt was inappropriate, do not be confused. Refer to this post to know what your recruiter cannot ask you and suggestions on how to dodge them out. Can you provide your birth certificate or photo ID that has your birth date on it? How long have you been in the workforce? When did you graduate or when did you start working? Your recruiter’s only concern is to verify your legal age required for the job role. Therefore, knowing that you qualify above the legal age is more than sufficient. In no way you are required to specify the exact date and timings of your birth. Secondly, your photo Ids are only required when you are already hired and not during the hiring process. Again, there is a huge difference when you are asked about the number of years you have spent in the workforce and the number of years you have spent in some particular domain. The former help recruiters guess a candidate’s age, while the latter helps to judge relevant expertise. 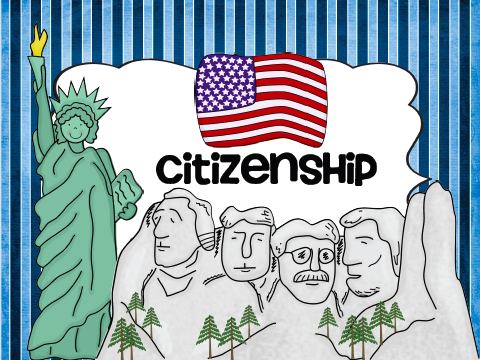 Do your parents hold US citizenship? For how long have you been in the US? State laws do require professionals to follow some legal norms that earn them permit to work in their natives or somewhere abroad. These are all legal procedures that are handled by definite judiciary departments. Your recruiters only need to know if you are abiding by these laws or not. Yes, they can ask you to prove your employment eligibility with suitable documents; however, it is only when they are done with scrutinizing your talents and knowledge relevant to the job vacancy. It is a matter of additional expertise when applicants can prove their bilingual or multilingual skills. Many job roles do require this as an essential candidate requirement. Therefore, wanting to know your language proficiency is of no harm; however, your first language need not be of any concern for your employers. What is the name of your spouse or kid? When do you plan for having a family? How much does your spouse earn annually? 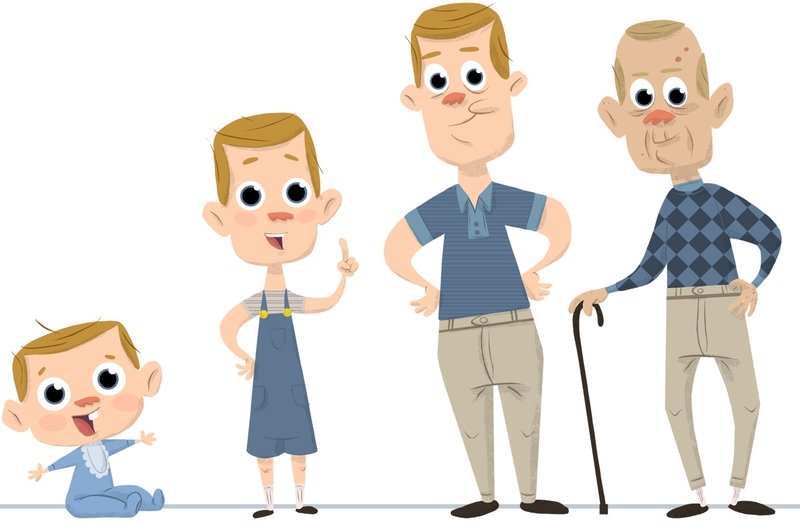 How will you manage your family if you need to work for longer hours? When does your pregnancy period end? The questions listed above are just few examples from this section. Any question related to your family cannot be asked and never entertained by you. 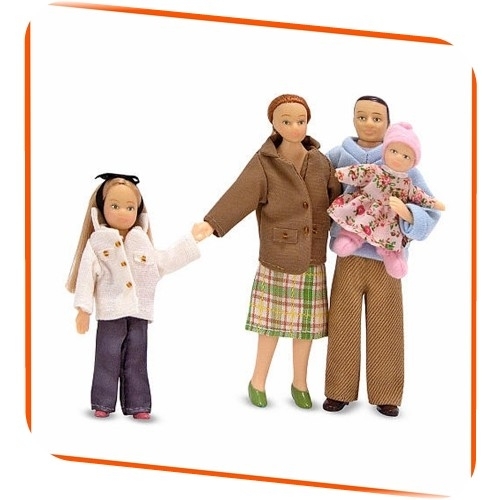 Family details; precisely marital status, is only required while filling some insurance forms. However, that is done only when candidates have been selected and have spent few days In the workplace. In no condition,interviewers can ask these questions during the recruitment session. Many women complain that interviewers are biased while selecting candidates and very easily reject those female applicants who are pregnant. Well, this is something very serious and is a criminal offense under Pregnancy Discrimination Act. 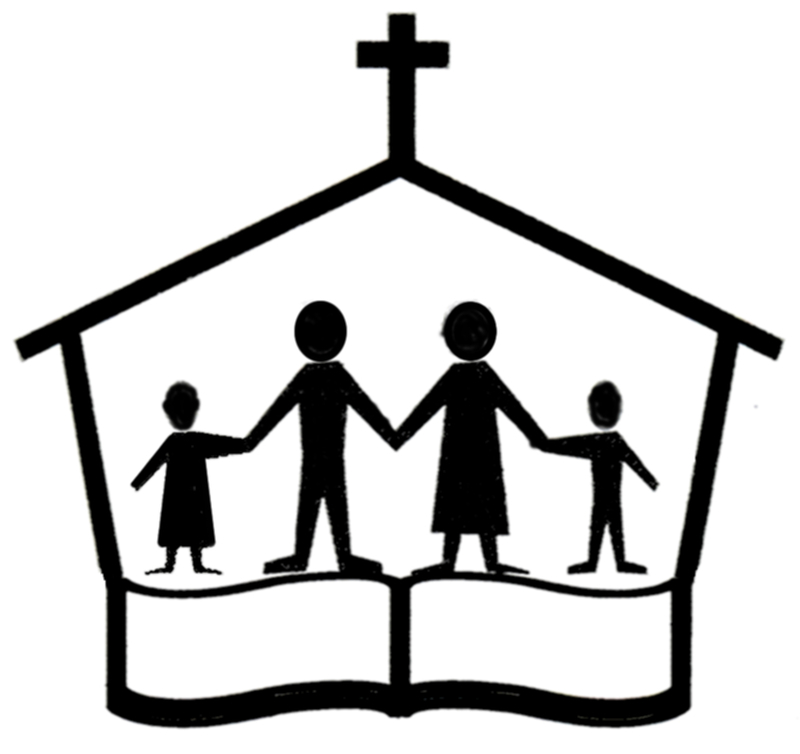 Do you attend Sunday church regularly? Many experienced HR recruiters do not ask these questions. These are usually put forth by professionals who are new to this job of hiring. It may happen that some job roles do require professionals to work for rotational schedules including weekends or State holidays. 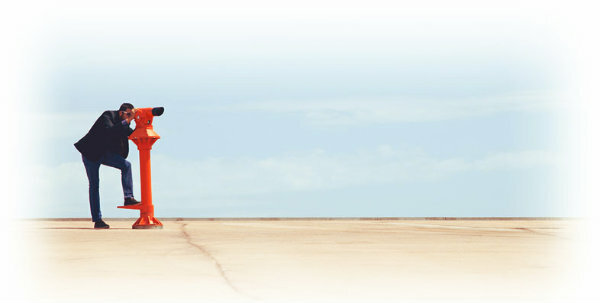 Therefore, recruiters want to know candidate’s availability during these days as well. Whatever may be the case, these questions are not expected during interview sessions or even after selection. Are you taking some forbidden drugs? Were you ever been arrested? Are you comfortable working with male/female co workers? Don’t you attend gym, what is your weight or height? You may have attended numerous interviews; however, every interview experience might have been unique in its own way. Some may have come across these above mentioned questions as well and are perhaps working in that particular organization. However, as it has been mentioned above that, simply asking these questions is not a punishable crime. 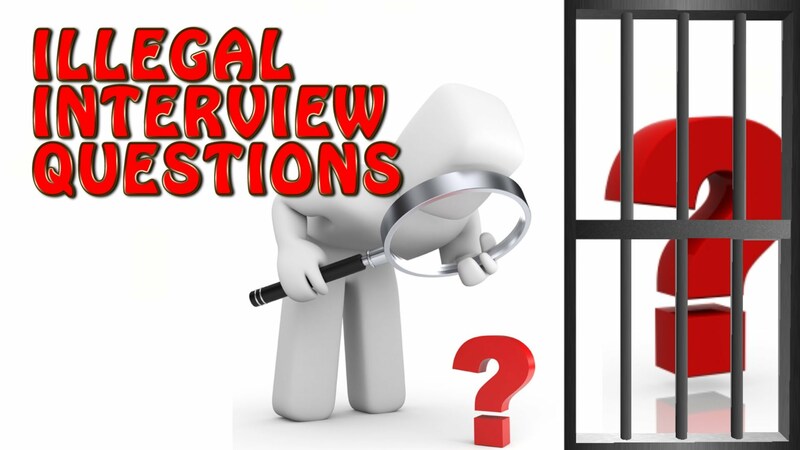 Most recruiters do not even know these legal aspects and just put forth these questions in an attempt to be friendly and make applicants feel more comfortable during the session. Therefore, do not just come out of the hall agitated if you are asked these questions in any of your future interviews. Try to understand the interviewers intention of knowing your non job relevant information and answer aptly without disclosing your personal details. However, if you feel you have been rejected on the basis of any of these factors, you need to take some legal steps to get something you truly deserve.